I’m an African American woman and seeing a lead protagonist that fits in any of those categories is rare in the video game space. At this point in my life, I’m 30, it’s one of those things that I have come to accept. Note, not okay with, but accept as the norm for the genre. The targeted demographic for video games is normally white, straight men between the ages of 15 to 30. So imagine my surprise and joy that as more games have come out recently that conversation has begun to change. That is where Horizon Zero Dawn comes in and I would like to take a second to appreciate the strides with diversity taken in the game. 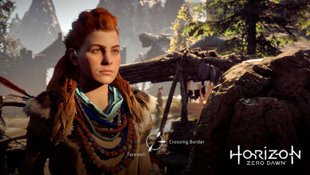 Aloy, our beautiful red haired wild girl, is the lead protagonist in Horizon. While a lot of games that feature a woman lead tend to focus on her “woman-ness” this game did the exact opposite. It needs to be said more often, but when it comes to diversity people that fit multiple minority groups don’t need it to be explicitly stated in the game or narrative. Aloy could have easily been Alan and the story would not change that much if at all. The fact that Aloy is a woman had literally nothing to do with the story. Aloy could have easily been Alan and the story would not change that much if at all. 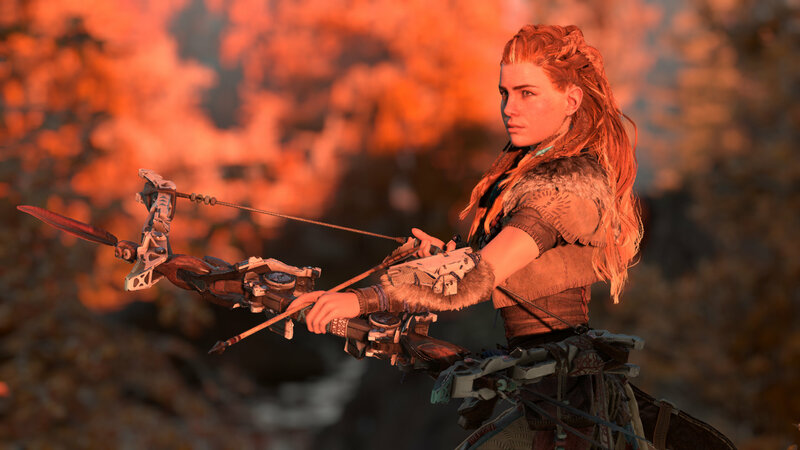 I appreciated that the game normalized Aloy being the lead and female without drawing attention to it in the narrative. Kudos Guerrilla for doing this despite Sony’s initial reservations about the choice.